We're keen to promote Supported Employment to employers across the country and are looking at how we can better engage with national employers. Many have established single agency agreements with national providers and we can understand their reluctance to get involved with a myriad of local agencies. They are, for the most part, committed to employing workers with disabilities but need to streamline how they do it and need to have assurances about the level of quality that they can expect. We are currently working with the Federation for Small Business, the Chartered Institute of Personnel and Development, the Business Disability Forum and selected companies to review how employers can feel more confident in recruiting and retaining a diverse workforce. Creative Spirit is an employer-led initiative within the creative media sector that has its origins in Australia. It aims to encourage creative media agencies to employ workers with significant disabilities. 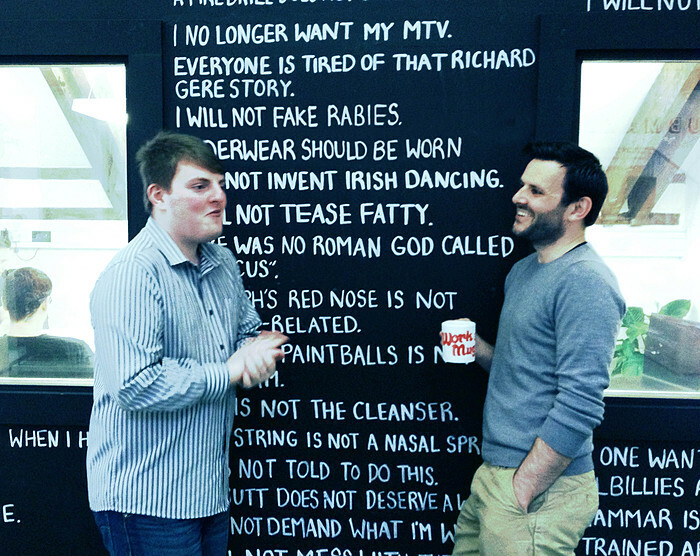 We've worked closely with Work Club to bring Creative Spirit to the UK. We now have a core number of agencies that are looking to recruit in the London area and these are linked to local BASE members for support. You can find out more about how Work Club is marketing the initiative. Jake (pictured with Work Club's Andy Sandoz) has been working at Work Club since 2012 and is keen to expand on his role there.